Find Out How to Rebuild Your Credit After Bankruptcy, So You Can Someday Buy a Home! Many clients that I have helped through the bankruptcy process ask me whether they will ever be able to get a mortgage and buy a house. After getting their financial fresh start, they want to be a part of the American Dream and be a homeowner! In an effort to give the best answer possible to this question, in this episode of the podcast I interview Domenic Postorivo of Greentree Mortgage. 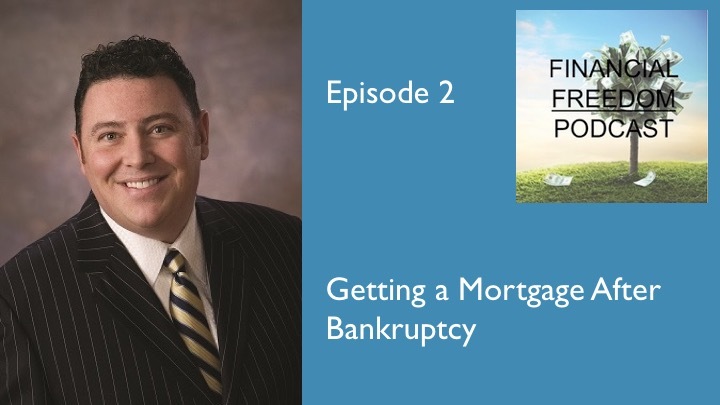 If you have filed bankruptcy, or you are just trying to clean up your credit and get your financial house in order, then let Domenic help you on the path to getting the home you've always wanted!